The Union Tavern is a popular venue that boasts a wide range of drinks accompanied by modern dishes on the food menu. The canal side garden makes it an ideal choice for alfresco dining or drinking. What did you think of The Union Tavern? So close, but just misses the markwe have been a couple of times to the Union Tavern over a two month period. The bar service is always slow (sometime 20 minutes at busy times) and the food is hit and miss. Sometimes the good is tasty and speedy, other times it feels like they have just microwaved stuff from the freezer and not done a great job. The venue is nice and sitting by the canal with a cold drink is a real treat. The street level bar / dinning area is nice and cosy, it feels like a comfortable family lounge. The real fire is a lovely touch on cold nights. The beer selection is fantastic easily my favourite out of all of London! However their wine selection is terrible. So I am happy but it doesn't work for my wife. With a touch more effort on the food and some extra bar staff The Union Tavern could be great. 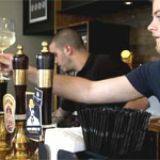 One of the capital’s best-sited canalside pubs is now also one of its best beer venues, focusing on the growing range of great tipples from London brewers. Beside the bridge where Great Western Road crosses the Grand Union Canal, just north of Westbourne Park station and the more recent transport arteries of the Great Western railway line and the Westway, the Union Tavern invites you to pause and linger. 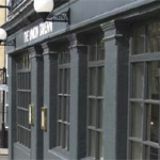 Formerly known as the Grand Union, and before that the Pelican and the Carton Bridge Tavern, the pub was overhauled in June 2012 in a pleasantly contemporary style. At street level there’s a bright main bar in clean grey green with red vinyl benches, stylish light fittings and an impressive original fireplace. Even better, stairs from here descend to the canal where an intimate lower bar with a couple of discreet side rooms opens onto an extensive waterside terrace, shaded with umbrellas and greenery. It’s a great place to enjoy a quality beer while watching passing narrow boats, as well as cyclists and walkers on the towpath opposite, and if you arrive by water the pub even offers dedicated moorings. 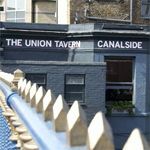 In an interesting area wedged between Kilburn, Maida Vale and Notting Hill, The Union Tavern attracts a good mix – beer fans, locals, after work drinkers and others tempted by the watery setting. 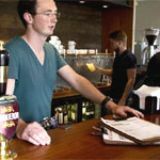 Staff are youthful and very knowledgeable, keen to make recommendations and encourage customers to discover new flavours. There’s a lively programme of activities too – blues and folk on Thursdays and Fridays, a quiz on Wednesdays, beer-related events such as Meet the Brewer evenings and tutored tastings, space for functions and plenty of board games. The pub offers a range of quality comfort food, beginning with gourmet baps (£5.75-£8.95) stuffed with delicacies like soft shell crab. Meat features heavily with dishes like beef brisket (£12.50) and meaty sharing plates (£18.95) alongside favourites like burgers (£10.50) and shepherd’s pie (£11). Seasonal salads (£9.75) and vegetarian quiches (£9.50) widen the options. This is a Fuller’s pub, but with a difference. Far from feeling threatened by the recent emergence of a new generation of small brewers in London, the old established Chiswick brewery has shown confidence and foresight in actively supporting the London Brewers Alliance. At the Union there’s a deliberate policy of showcasing a wide range of London beers – so Fuller’s cask beers, including contemporary creations like Wild River, line up on the ten handpumps alongside the products of Beavertown, East London, Moncada, Redemption and Windsor & Eton. The keg taps dispense beers from Camden Town, Kernel and Meantime alongside quality imports from the US and Bernard lager from the Czech Republic, while a well chosen range of bottled international craft beer mixes London brews with top British craft producers and European classics. For non-beer drinkers there’s real cider, a handful of well chosen wines and a selection of quality spirits including single malts and other specialist whiskies. 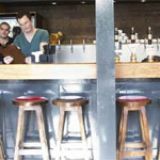 Some pubs with comparably splendid settings rest on their laurels when it comes to providing the full package. The Union Tavern, in contrast, applies Fuller’s long experience in running good pubs to creating an excellent all round offering, and with the unique feature of a fine local beer list, it’s the perfect shop window for London’s burgeoning brewing scene.